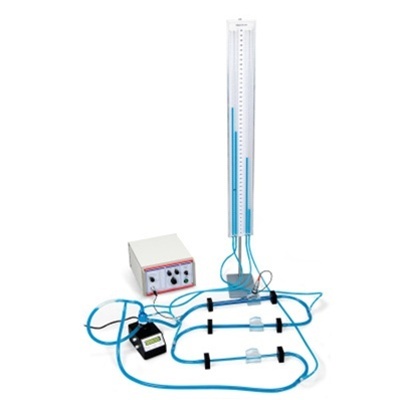 Pump for transporting liquids at a constant flow velocity which can be regulated continuously to any value and intended for the investigation of flow phenomena with laminar flow profiles. The pump has 3/8" plug-in connectors for insertion into the Doppler Apparatus (U10001) or Arm Phantom Set (UHH-ARM). The display can be switched to show either speed or flow. 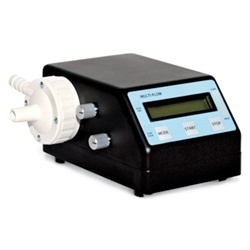 The display of the flow can be calibrated to match the flow pressure. For Doppler sonographic experiments using a so-called arm phantom to simulate a real arm, the pump can be set to provide a pulsing flow (to simulate a heart beat) with a variable pulse frequency. 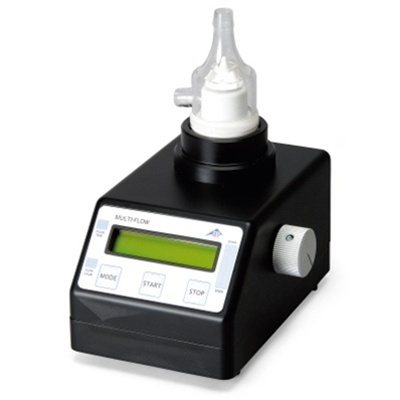 This allows ultrasonic signals to be obtained which are typical for vascular diagnosis.